I prefer the use of natural light. Photography outside gives way to a more easy and spontaneous atmosphere. I like to move around and vary up the environment. My sessions are relaxed and fun. I don’t rush. I want to make sure to capture who you are vs. a preordained notion of how you “should” look in a headshot. Everyone brings a different energy with them and it is my job to capture that energy and convey your personality through my camera. ​RETOUCHING: I will do basic retouching but I prefer Reproductions for their preparation of your printed headshots. Reproductions will receive all your photos from your session. Please contact them directly for a retouching session. 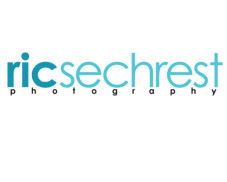 All video, photos and website content copyright 2019 Ric Sechrest , all rights reserved.